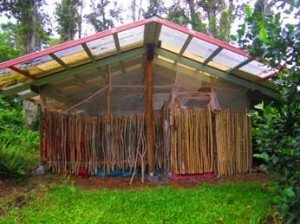 The Guava Hale (pronounced haahley) is a beautiful hut made almost entirely of Strawberry Guava, a fast growing hardwood tree in our region. Guava Hale has a wonderful hang out spot in the rear, and is the perfect distance from the communal areas. Large, native Ohi’a trees give this little hut shade and beauty. 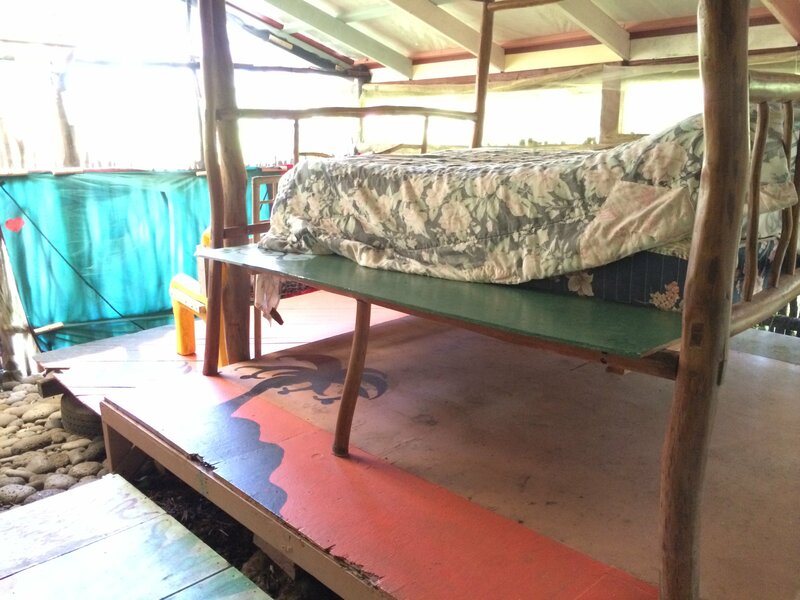 The Guava Hut has a queen-size bed hand carved from guava wood by local artistic craftsmen who was once a volunteer at Hedonisia. Using traditional carpentry techniques he created a bed that is sturdy, elevated and quite open, which allows for a lovely sea breeze to waft through! 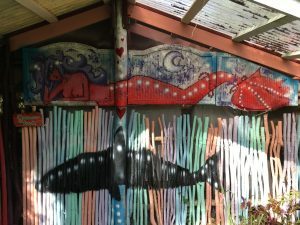 Guava Hut is continually evolving. These photos give you the general idea of what to expect. We are continually tinkering and experimenting with the hut to give visitors and volunteers a wonderful unique place that they enjoy in the jungle! 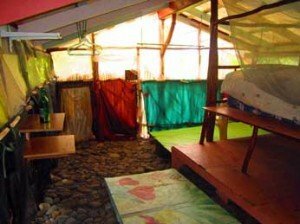 While we cannot guarantee you will stay in this lodging space if you are in one of the above programs, we do try to honor volunteer and Intern requests based on availability, work ethic and how well participants ‘fit’ into the Hedonisia community. TASTE of HEDONISIA: Community Experience! 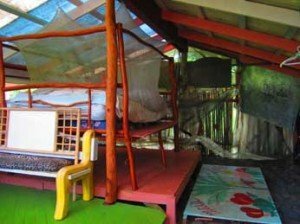 We offer the Guava Hale at special weekly or monthly rates for those who wish to enjoy being part of the community working one Community Support Shift per week. Potential Interns, Guests or Volunteers Apply or Inquire for these Programs!